Services for Barbara will be held on Madeline Island this summer. Details will be announced once determined. 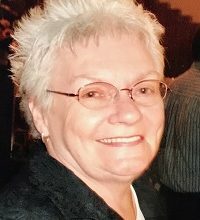 Barbara Ann Wroblewski, 80, of Rice Lake, WI, passed away peacefully on January 20, 2019, at Essentia Health-St. Mary’s Medical Center in Duluth, MN after complications of an infection, with loving family by her side. She was born October 9, 1938, to Sherman and Lorene (Edie) Kalkbrenner in Duluth, Minnesota. Barb graduated from Stanbrook Hall-Duluth in 1956. After graduation, she worked in Business Development for Honeywell. Shortly after meeting John F (Jack) Wroblewski on the slopes of Mt. Ashwabay, they were married in Duluth in 1961 and Barb moved to Washburn, Wisconsin. Even while building their family, Barb remained an active business woman. 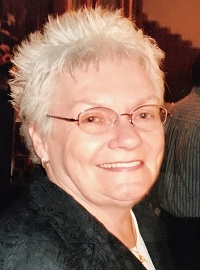 She partnered with her husband in many endeavors, including supporting his political career on numerous state boards and local committees, and as Mayor of Washburn from 1966-1976. In 1968, Barb and Jack started their business, Wroblewski Plumbing & Heating, which served customers in all of Bayfield County, as well as Madeline Island. In 1983, Barb and Jack, along with a few partners, obtained funding and developed Washburn Marine & Condo Association. They had a love of Lake Superior and the foresight to see the potential of a marina on the shores of Chequamegon Bay. When not working at the marina, or managing residential development for their customers, you could find them on the boat, exploring the Apostle Islands. What her children remember the most is that no matter how busy her schedule, you could always find Barb cheering on her kids in the stands at every ballgame, concert, and church event. She truly knew how to balance the demands of being a working mother, and was sharing stories of that time of her life with young nurses the last week of her life. In 1992, Barb & Jack moved to their permanent home on Madeline Island after having a seasonal home there since 1972. Barb loved the island and all of the local and seasonal residents of LaPointe. 1993, Barb & Jack turned their business over to their son, Paul, and the name was changed to Paul’s Marine & Mechanical. They continued to work the family business until Jack’s passing in 2007. Barb remained on Madeline Island for one more year, when she decided to move closer to her daughters and grandkids in Rice Lake, Wisconsin. She is proceeded in death by; her father, Sherman Kalkbrenner; mother, Lorene (Edie) Kalkbrenner; stepmother, Edna (Graehling) Kalkbrenner; and daughter, Debra Wroblewski Knop. Barb is survived by; son, Paul (Connie) Wroblewski of Washburn, Wisconsin; daughter, Lorene Wroblewski of Bradenton, Florida; six grandchildren, Dan and AJ Lindsey, Kevin and Ryan Bohn, and Lillian and Adelaide Wroblewski; one brother, Paul (Jane) Kalkbrenner; one stepbrother, Jack (Eileen) Graehling; and numerous nieces and nephews. Thank you to the doctors and nurses at Marshfield Clinic Lakeview Medical Center-Rice Lake and Essentia Health-St. Mary’s Medical Center Duluth Hospice for your loving care of our mother. We also appreciate how well you met our needs during a very difficult time.